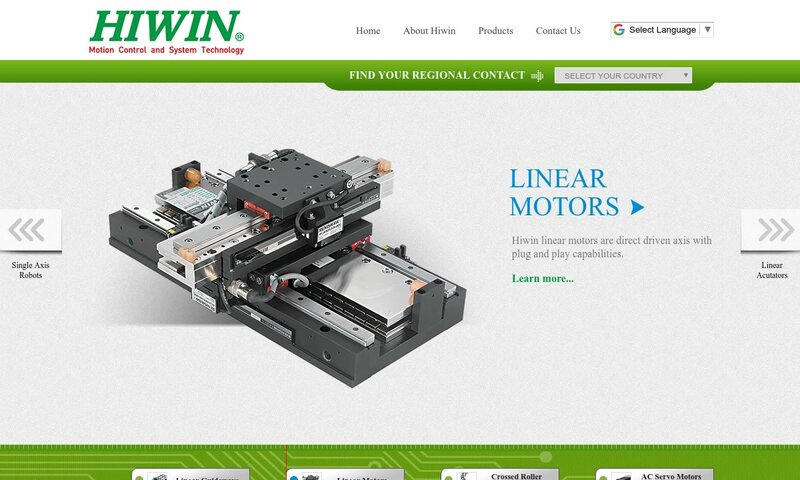 A reliable source for Linear Bearings information and a resource for accessing leading Linear Bearings and suppliers. Linear bearings create relative motion among parts of a machine by providing a rolling or sliding contact between the bearing and the object that the bearing is moving. Linear motion bearings are used for a variety of functions. For example, they can be found in items such as work station height adjustment mounts, and drawer glides. Often times, linear bearings are used as part of industrial motion control systems, working alongside other devices such as linear actuators. Linear Bearings Linear bearings create relative motion among parts of a machine by providing a rolling or sliding contact between the bearing and the object that the bearing is moving. Linear motion bearings are used for a variety of functions. 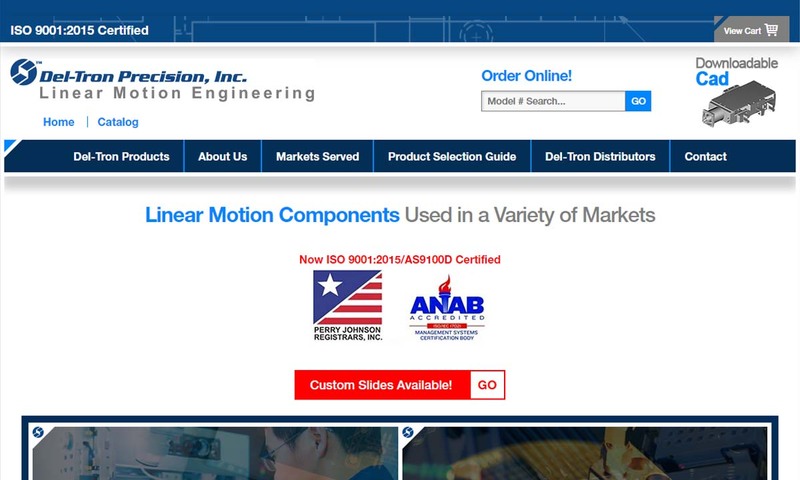 With a multitude of bearing and slide designs available, both standard and custom designed models, Del-Tron Precision Inc. is proud to be a one-stop shopping experience for customers with linear motion needs. 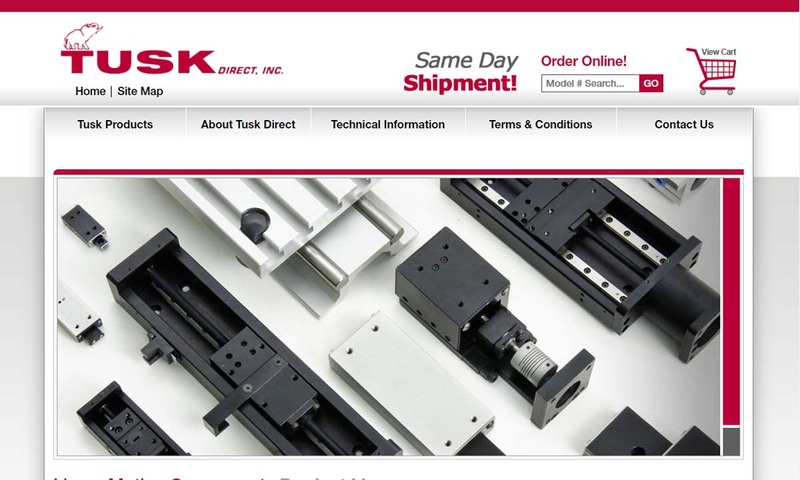 TUSK Direct is a company that produces high quality linear motion components such as linear bearings as well as assemblies for automated equipment. 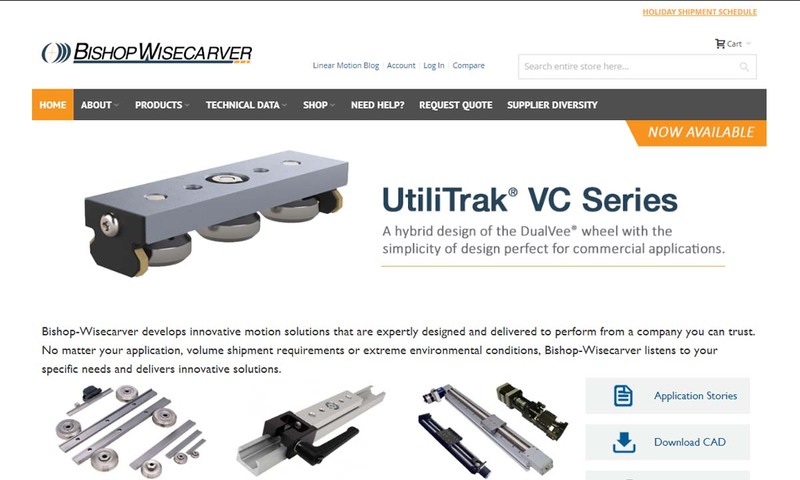 For over 60 years, Bishop-Wisecarver has been manufacturing guide wheels and guided motion products. Our customers rely on our innovative and cutting edge products for use in harsh environments, clean rooms, or other challenging applications. 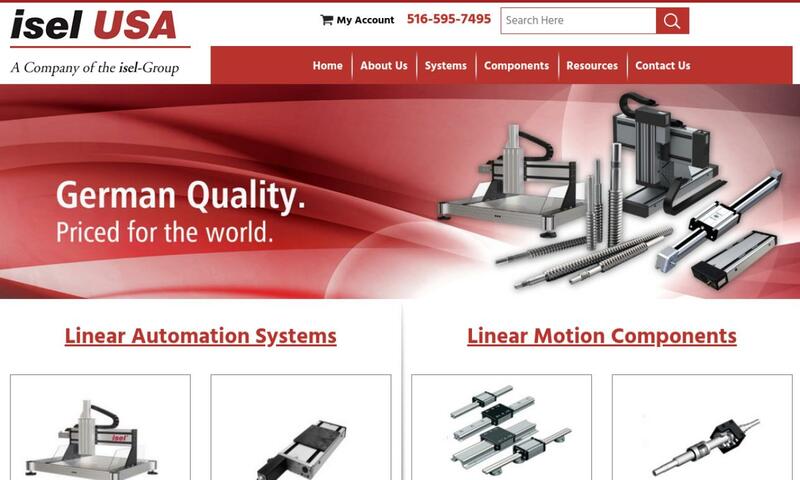 We are a leading manufacturer and distributor of quality linear bearings and linear rails. products to customers around the world. We offer a variety of styles and sizes of both linear rails as well as linear bearings to suit customer requirements. HIWIN Corporation's diverse lines of linear bearings and associated products have proven performance under almost any environmental conditions and load capacities for a wide range of applications. If you are looking for a trusted global manufacturer of high-impact linear bearings for a wide range of applications, look no further than IKO International. We offer linear ball bearings, linear motion bearings, linear roller bearings and slide bearings. While linear bearings are widely assumed to be a 20th century industrial invention, their origins trace much further back in history. Archaeological evidence indicates that classical civilizations such as the Greeks and the Romans used primitive forms of bearings for various mechanical applications. However, bearing technology as we know it today was conceived during the Renaissance and fully realized around the turn of the last century. Renaissance thinkers such as Leonardo da Vinci helped to establish the superiority of rolling mechanical motion over sliding mechanical motion by the end of the sixteenth century. (Da Vinci himself helped to introduce a product known as a roller-bearing disc into industry during this period.) From roughly 1600-1750 plain or sliding bearing development took precedence over roller bearing development as Western science continued to grow and develop. Roller type linear bearings reappeared during the eighteenth century, mainly for use in wagon and carriage applications. The two main types of roller bearings, ball and roller, were established by the nineteenth century. Interestingly, the development of the bicycle helped to spur the development of precision ball bearing manufacturing and the rise of true bearing manufacturers. A progression from cast iron to steel (solidified by the advent of World War I) marked another development in bearing technology around the turn of the twentieth century. Linear bearings of all types form a crucial part of industry today. For most of the past century, bearing technology has focused on methods of extending the durability and endurance of these critical components. 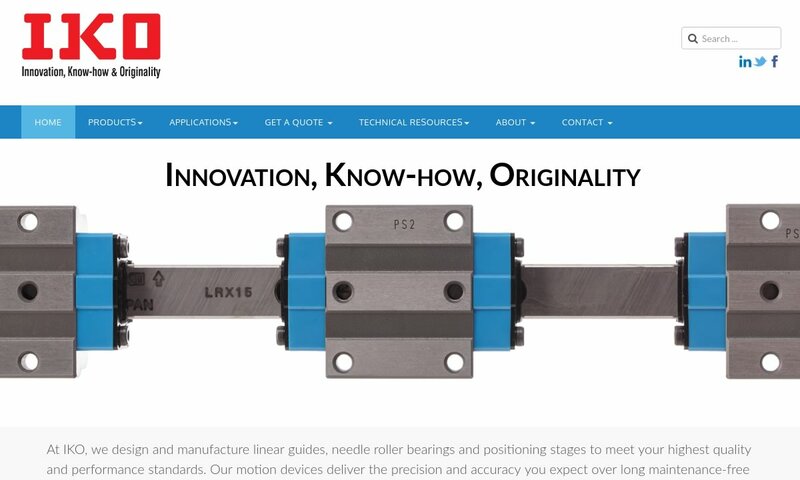 Linear Bearings – Tusk Direct, Inc. Since metal provides high rigidity and load bearing capacities, linear bearings are often made from materials such as steel (e.g. carbon, stainless) and bronze. However, sometimes material like plastic is used to obtain other advantages (e.g. corrosion resistance). The main purpose of linear bearings is to securely confine a load to forward motion on a predefined rail or track. 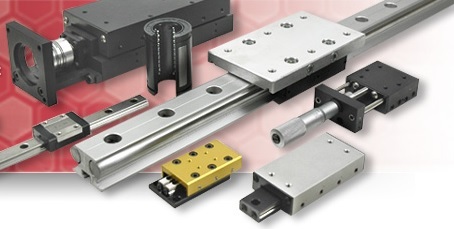 (Despite their title, linear bearings do not necessarily need to travel on a linear track.) Linear bearings are usually designed to handle lateral or horizontal loads, radial or compressive loads, and reverse radial or tensile loads. Since linear bearings often undergo rotational motion or moments (i.e. tilting based on the axis of travel), they are designed to withstand such motion as well. (It should be noted that linear bearings manufactured in the United States use the American measurement system, while bearings manufactured in Europe are based on the metric system. Linear bearings are valued for a range of reasons. They are easy to install and provide an inexpensive way to transport a variety of loads at high speeds and high accuracy under low-friction conditions. Linear bearings are critical to a wide range of industries, including the industrial field, the medical field, the storage/packaging field, the food processing field, the automotive field, the aerospace field, and many others. They can be used in specific applications such as automated production equipment, precision gauging, wafer testing and handling, vision inspection, precision dispensing, disk certification, optical alignment, and pull-out equipment (e.g. storage drawers or work surfaces). Linear bearings can vary widely in strength and size, and utilize bushings, grease, rails, balls, and slides. Although it is common for classification terminology to be imprecise concerning different commercial products, this problem tends to be pronounced when linear bearings are under discussion. As a result, this section will concentrate on sketching broad families of bearings as well as more common individual types. Overall, linear bearings tend to be classified by two main elements: the type of rails they operate with and their method of adherence to such rails. Rails for linear guides generally fall into two basic categories: round rails or square rails (also known as profile rails). With regard to linear guides as whole (i.e. rails plus the moving carriage), three main types of linear bearings can be considered: linear ball bearings, linear roller bearings, and slide bearings. Slide bearings or linear plain bearings are the most basic type of linear bearing. Their name stems from the fact that they operate by two surfaces sliding against each other. They perform linear movement and weight bearing using low-friction metals such as graphite and Teflon, as opposed to metal backing plates. Sliding contact in this type of linear bearing application should always occur between unlike materials, since this concentrates frictional wear in the softer material. Slide bearings are commonly found on oil production modules and heated pipelines, and in oil and water transportation and steel fabrication applications. Slide bearings possess three basic designs: boxway, dovetail, and bushing. These designs primarily denote the configuration of the carriage that allows it to physically fit onto the rail. Bushing type bearings are particularly common. The term bushing refers to bearings that travel along rails using a cylindrical opening. Typically, such bearings contain two such openings that travel a pair of round rails. The walls of these openings commonly consist of materials such as injection-molded polymers, bronze infused with oil, or a type of powdered metal. Rolling element bearings operate similarly to plain slide guides. The main difference between the two types of guides lies in the fact that rolling element bearings insert rolling elements – balls or rollers – to facilitate contact between the rail and riding carriage of the linear guide. These types of linear guides offer some significant advantages over their sliding counterparts; for example, they generate less friction and are capable of operating at higher speeds. Because of this reality, they are preferred for use more advanced, high-intensity linear guide applications. Rolling element bearings can be further divided into classes of linear ball bearings and linear roller bearings. Linear ball bearings utilize a hard round ball to move two separate parts along a straight line in a fluid and low-friction manner. Linear ball bearings (also called ball slides) represent the most common type of linear bearing. Furthermore, two types of linear ball bearings exist. The first, radial ball bearings, carry both axial and radial loads. The second, thrust ball bearings, are used solely for light to moderate thrust loads. Linear roller bearings carry their loads by placing cylindrical or barrel-shaped components (as opposed to round balls) between two parts. Linear roller bearings are capable of carrying greater capacities due to the contact between the roller and the line being more evenly distributed. Linear roller bearings are popular since they are easy to use, inexpensive and self-cleaning. They are well suited for machine tool applications. A notable variation of this type is known as a needle bearing. Needle bearings are a type of roller bearing that have a thinly-shaped needle roller and have cylindrical rollers that are smaller in diameter compared to those of a linear roller bearing. Rolling element bearings are also classified by whether they are recirculating or non-circulating. Circulating (or recirculating) bearings cycle their bearings throughout the carriage as the bearing moves, enabling the bearing to travel the entire length of the rail. Non-recirculating bearings do not possess this function and are limited to traveling a finite distance on a rail. Circulating type bearings also possess the advantage of being able to carry heavier loads. There are other types such as linear air bearings, linear rotary bearings, miniature linear bearings, precision linear bearings, linear air cylinders, pillow block linear bearings, and ball spline bearings. Air bearings are assembled of crossed roller slides controlled by two air cylinders. Air bearings are low-friction due to the materials they move riding atop a cushion of air. Air bearings are commonly used for machine tools and can be found in many aerospace applications. They can be round or rectangular, and come with or without magnetic or vacuum components. Linear rotary bearings allow rotational as well as linear motion. They are used for applications that require linear and precise movement of large objects. Linear rotary bearings use a cylindrical roller that is self-lubricating and is capable of handling and dividing heavy loads. These bearings can be found in car axles, grinding machines, clock parts, and machine shafts. Miniature bearings are linear bearings defined mostly by their size. They are convenient for scientific purposes requiring a high degree of precision. For example, a miniature linear bearing might be used in a lab to study biological slide samples underneath a microscope. Precision bearings have a narrow bearing tolerance and are high in quality. They are recommended for use in high-precision applications such as machine tool spindles. Linear air cylinders are commonly made of aluminum and are utilized for applications such as precision positioning and tensile testing. There are options available for linear bearing housing. Pillow block linear bearings are a type of guide defined by their unique housing apparatus resembling a blockhouse. They are useful for scenarios in which a rail must move while rolling elements stay in place. Ball spline bearings are recirculating types of rolling element bearings that contain multiple circuits of circulating rollers (typically three to five). Many types of linear bearings are manufactured to work alongside larger automated systems such as robotic assisted assembly lines and positioning tables. For example, a linear ball slide has a short stroke, a small form factor, and is compact. These characteristics give such slides the ability to stroke up to one-third of the length of the slide. Alternatively, crossed roller bearings (a type of non-circulating, non-motorized slide resembling linear roller bearings), have a much higher load capacity due to the bearing’s contact line between the raceway and the roller. Due to advancements in robotic automation, linear bearings have increased in popularity over the recent past. A couple of common accessories can be found in linear bearing environments. Wipers are simply components that sweep a track ahead of a moving bearing to preempt debris damage to rolling elements. Seals prevent damage to bearings by preventing lubricant from leaking. Be consistent with lubrications. Lack of lubrication is leading cause of linear bearing failure or inefficiency. There are some styles of linear bearings that are self-lubricating and self-cleaning, while other types must be lubricated and cleaned manually. Regardless, lubrication and cleaning are necessary procedures that need to be carried out regularly in order to ensure maximized longevity and performance. Maintaining a regular lubrication schedule is one of the best ways to care for your linear bearings. Inspect your bearings on a regular basis by running your finger along the rail to detect wear or low lubrication. For carriages made of soft material (e.g. aluminum), checking the bearing contact areas for indentation or other types of deformation. Store linear bearing components in clean and dry areas to prevent the accumulation of debris or appearance of corrosion and guard linear bearings against sudden shocks or impacts. Some standard considerations apply when selecting the right type of bearing for a specific application. The selection process should clearly define objectives for a given project and then weigh a variety of factors and “tradeoffs” to determine the best product for a given scenario. Choosing a linear guide manufacturer or supplier should be guided by their level of customizability (e.g. in terms of shaft shapes or guide material), expertise or experience, customer responsiveness, and shipment speed. Due to the large number of linear bearing manufacturers, it is not common to standardize the configurations of linear bearings. Therefore, attributes such as the bearing’s load capacity, inside diameter, length, and width should be taken into consideration. It is important to note that, practically speaking, the selection of a given bearing is often dependent on one or two of these factors. Choosing round versus square or profile rails is the first part of the guide selection process.  In certain industrial applications, one type or the other is better. For example, round rails tend to be less accurate than square ones; thus, square rails are preferable for an application requiring high accuracy when moving loads linearly. Rail selection is important initially because inadequate or improper installation is a leading cause of poor linear guide performance; being forced to switch from one type of rail to another can be very costly and labor-intensive. A prime concern with regard to linear guides is their durability or life span. Linear guides are rated according to a basic static load rating and a basic dynamic load rating. The second measurement can be used to calculate the expected life of a given bearing in conjunction with the applied operational load. A quality manufacturer should be able to help you further refine a bearing’s projected life span through the consideration of other factors such as temperature, frequency of lubrication, contamination, the effects of impacts or shocks, etc.